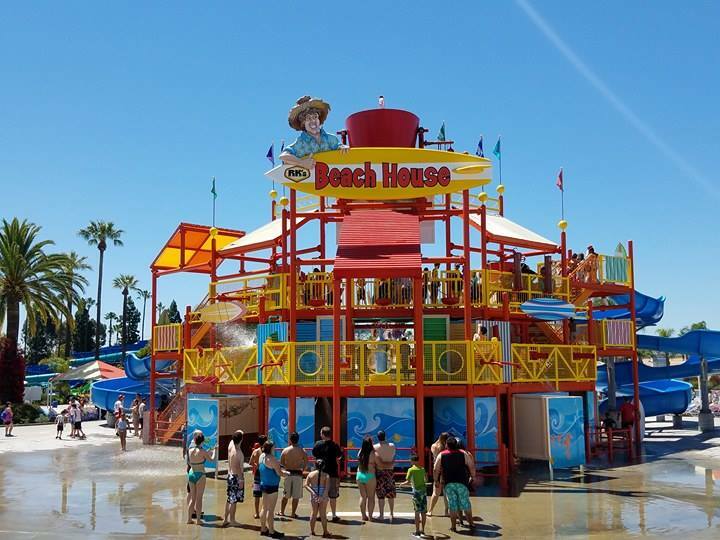 Knott's Soak City Water Park Now Open for Summer! Thanks to Knott's Berry Farm we were able to attend media day and explore everything new at Soak City OC. Soak City has been an Orange County "beat the heat" water park for years, but for 2017, they have stepped it up a few notches to bring bigger splashes & dining upgrades! With the 2 acre expansion comes 7 new water slides, shaded grassy landscape, brand new cabanas and updates to food options at Longboard's. 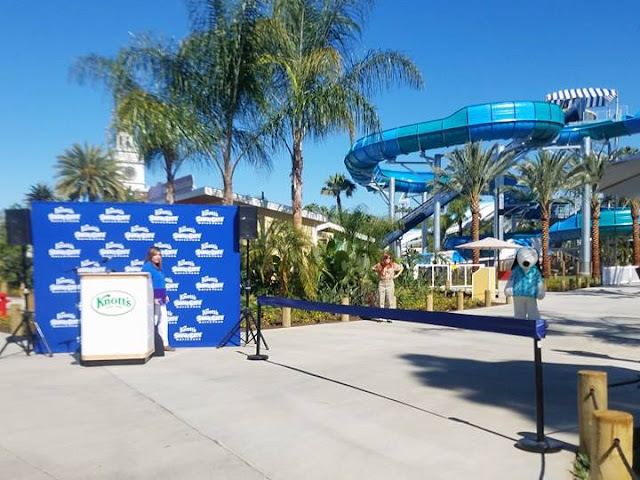 It was such a heart felt moment to see everyone from Knott's to the City of Buena Park join Snoopy in the grand reopening opening ribbon cutting. 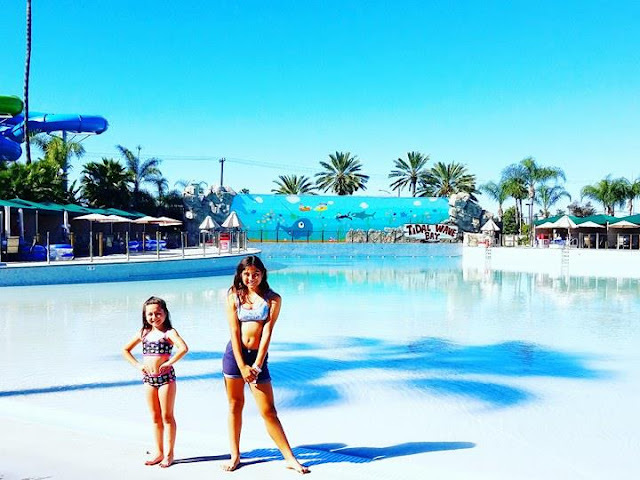 It was hot out, water was refreshing cool and the water park was filled with laughter.... Loved it! My daughter and I were able to get on the newest family tube water ride that seats 2 to 6... wow I'm just going to leave this link here so you can hear us I mean see us for yourself! Hehe. Seriously awesome. 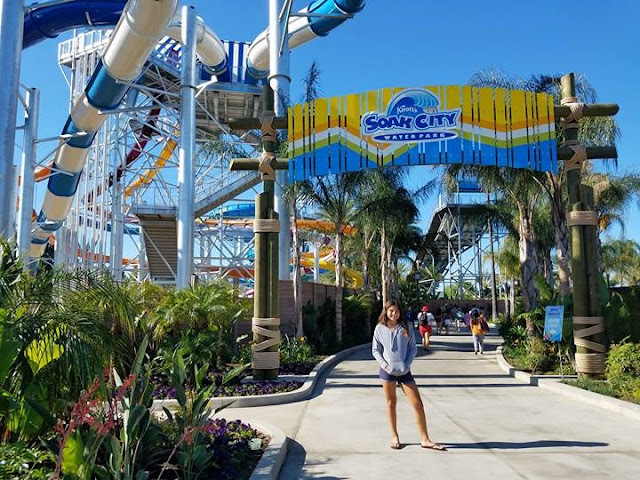 So let's get down to our top 5 Reasons why we loved Soak City! 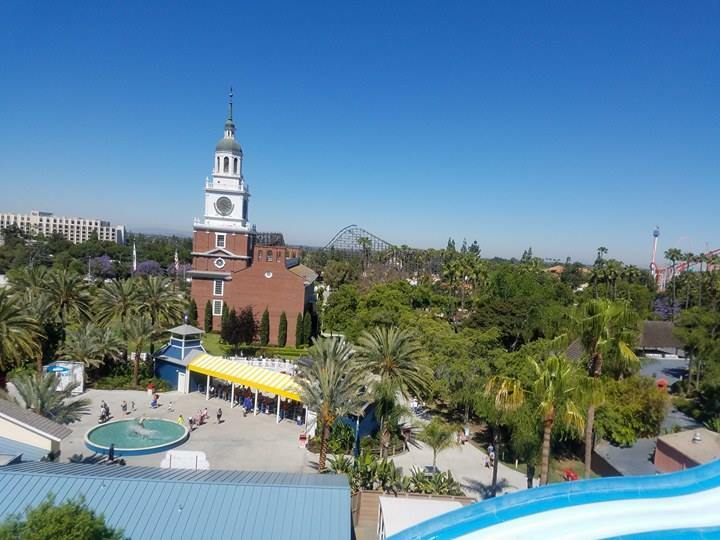 * The 2 acre & 7 new water slides really add a huge expansion in my opinion. Soak City just seems that much bigger and more spacious now. There are slides for everyone and of all ages. 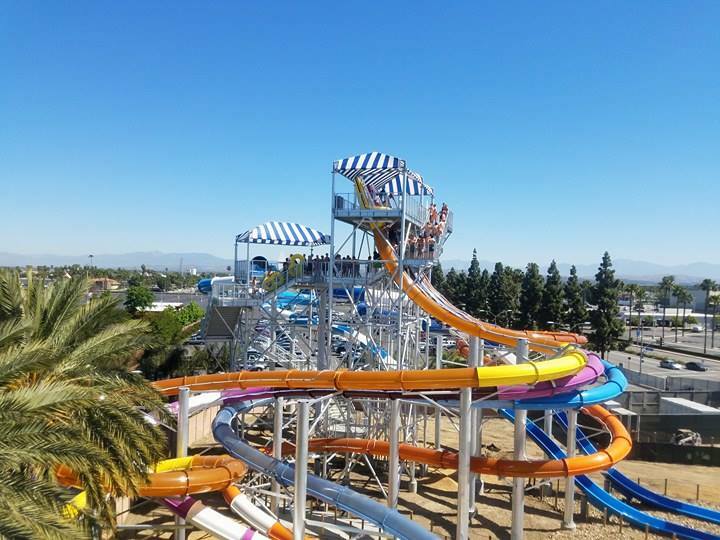 One of the newest jets you down a drop and slides you out and around before dropping you off leaving you wanting more thrills. * Gremmie Lagoon is really perfect for all ages. 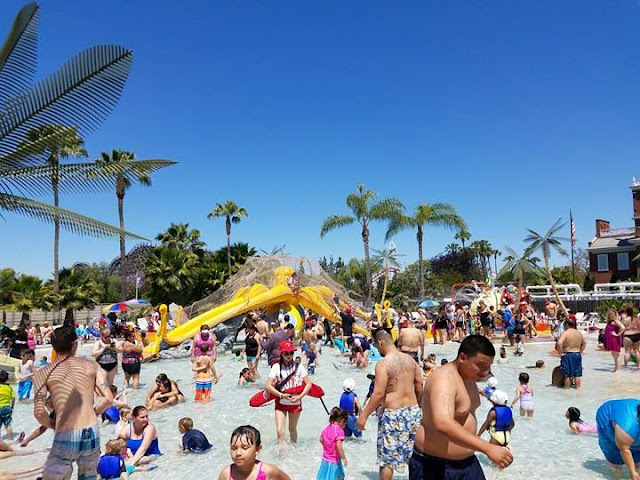 Younger or older generations can splash and play together in a more intimate keep an eye on the kiddos setting. Plenty of shade all around it too. * The Lazy River... really all I should need to say is LAZY RIVER... but... it's huge!! 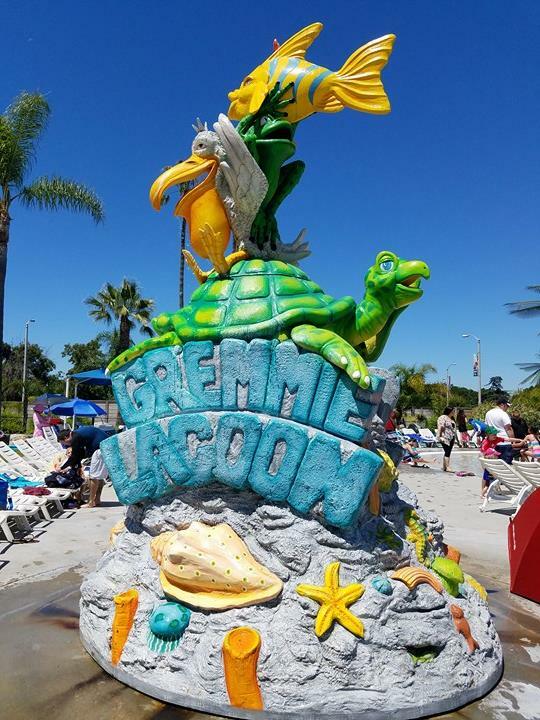 Goes around most of the water park with multiple entrances keeping it flowing yet easy to enter and exit. Use floating tunes available or you can always rent a tube to have as yours all day! **Note that there is also a handicap accessible chair that I loved seeing. This allows families or anyone really that wants to experience the water too but has a special need with the ability to wade into the river on their own. 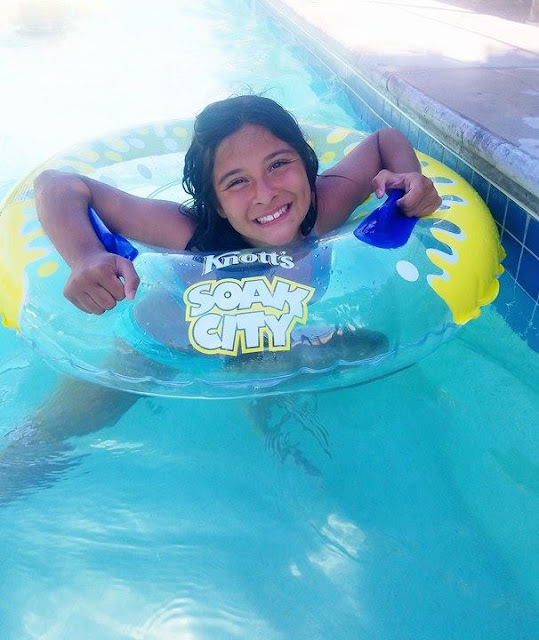 Thank you Soak City... that's huge! So huge... I saw a dad with two littles. One was maybe 3 and her older sister was about 10. The older sister was in a handicap chair stroller similar to my nephews so I knew right away she needed assistance. It took me seconds to see that the dad was sad he couldn't get the 3yo into the Lazy River safely while holding his handicap daughter. My heart! 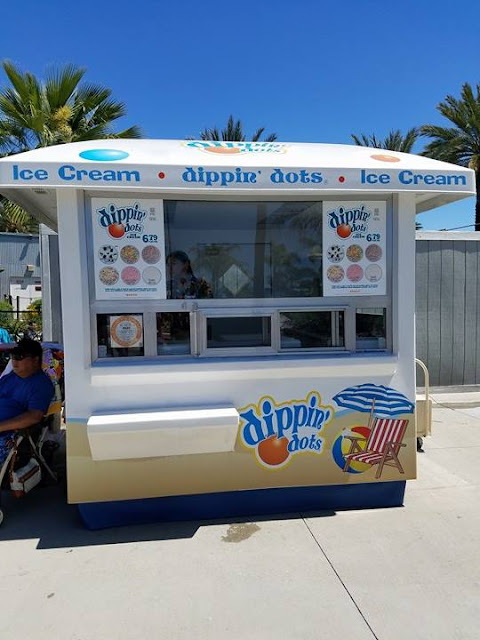 I stopped him, looked at him and said... you are doing great and I think Soak City can help you enjoy a bit more. 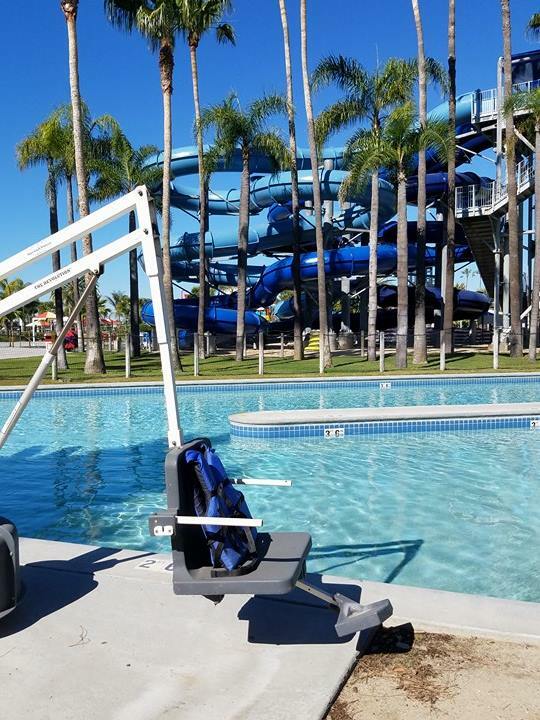 I pointed over to the handicap accessible chair, empty like it was waiting for him to use, and said... go over there it's meant for your girl and you can strap her into the seat safely, lower her in, play with your little while your other daughter wades it the water with you. He smiled said thanks so much and started to head over... I really hope he enjoyed the rest of his day. Great job dad! 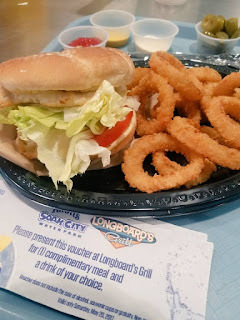 Longboards is the main grill for dining. 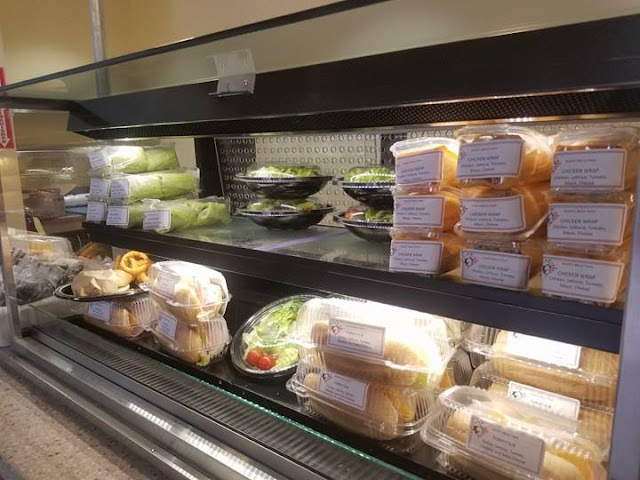 Inside you will find it easy to order some of your favorites but also added are some fresh salads, sandwiches and lighter snack side options. 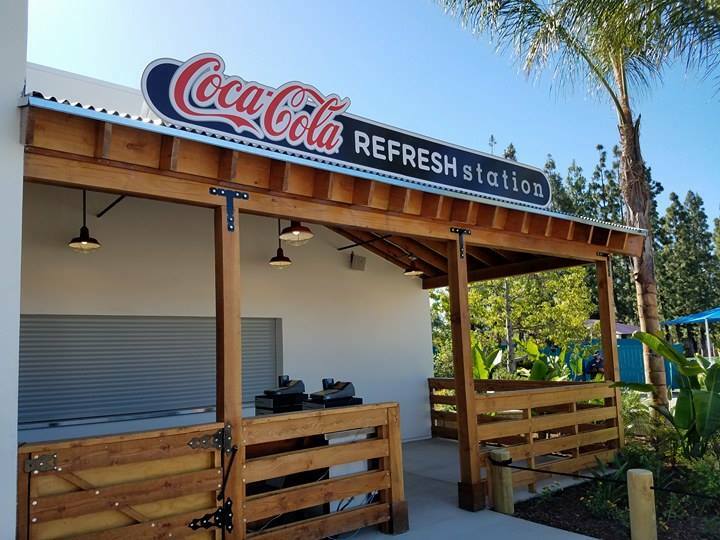 There are snacks stands and drink stations throughout Soak City so it's easy to stay hydrated. Soak City even allow small coolers, chairs, umbrellas and water inside to help make that warm swim day experience a bit more family friendly. 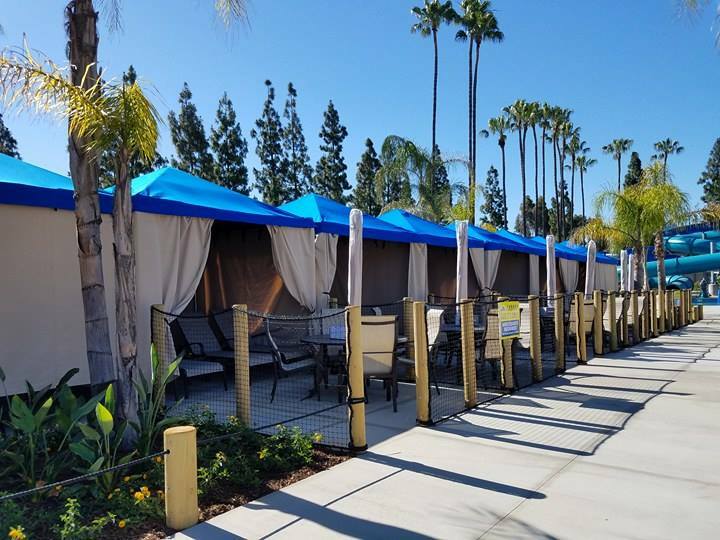 * Shade and Grassy Areas are plenty. Aside from the so many rows of lounge chairs there is a lot of open space to just park it and lay out your goodies for the day. If you need to secure any items you can always rent a Locker! **Hot tip! Waterproof lanyards are amazing! Get a good one!! I love to carry around my waterproof case. It fits my phone and my id, cc and a little cash. Perfect. 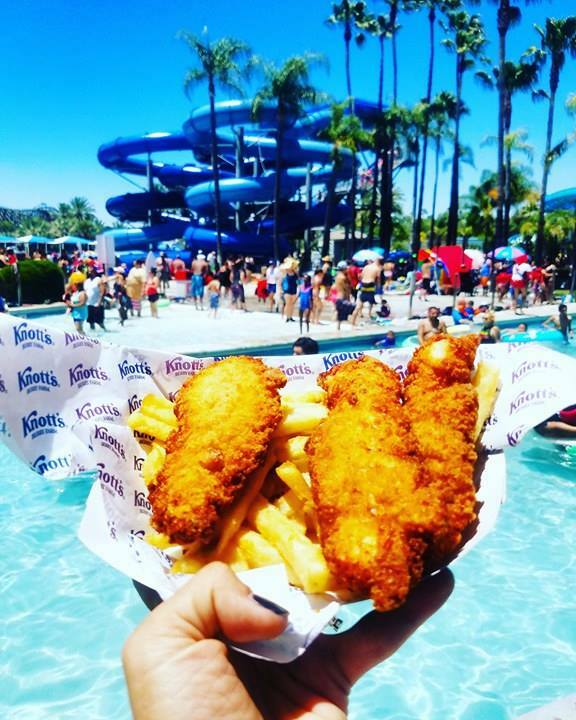 Talk about a perfect day of fun in the socal sun! I really didn't realize we had been playing from 9am to 4:30pm. The day went so fast but the fun will last for ever. I love making these memories with my kids. I am looking forward to visiting again over summer and looking at all the different price options, discounts and dining additions available. Here are all the deets on the passes, parking, discounts and more. 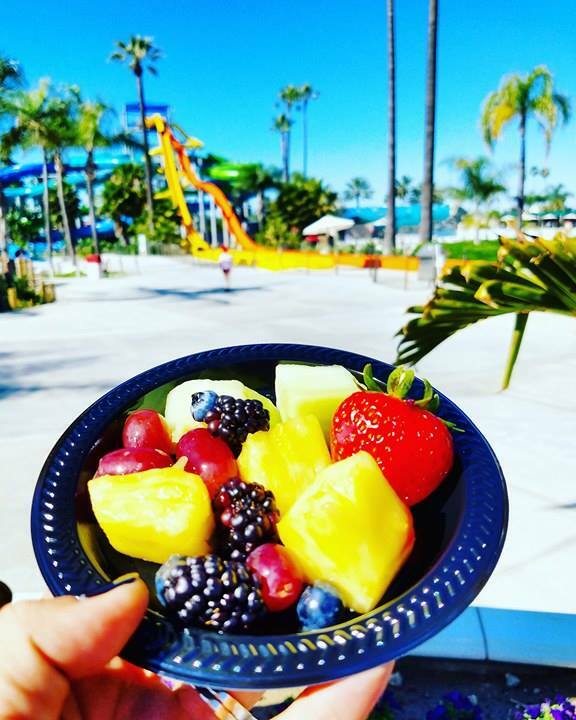 Oh and don't forget to check out annual pass options and meal plans that can be added to them! 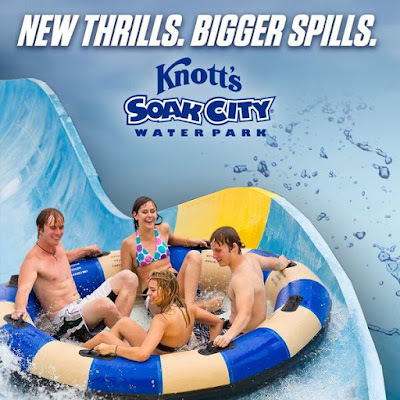 I hope you get to visit Knott's Soak City Water Park this summer too... they are open now and ready for you!